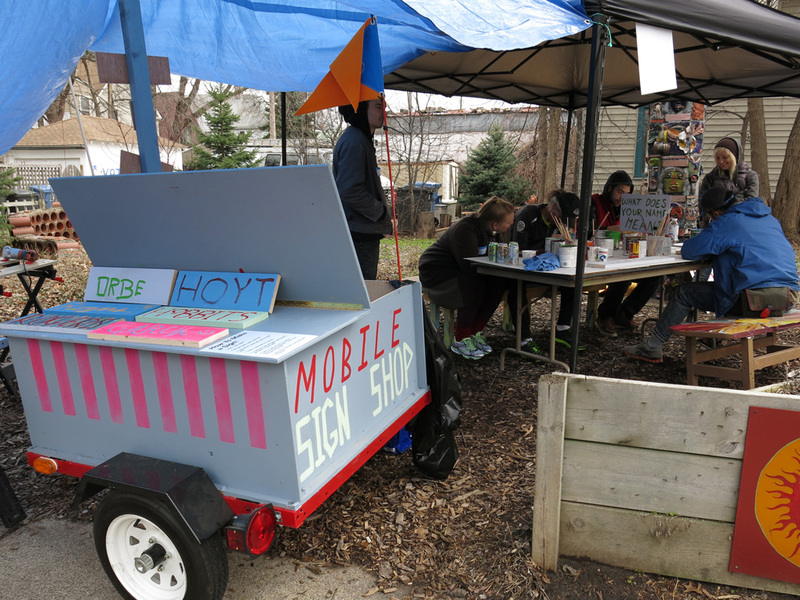 The Mobile Sign Shop (MSS) is inspired by the vernacular of cabin name signs found in Northern Minnesota. 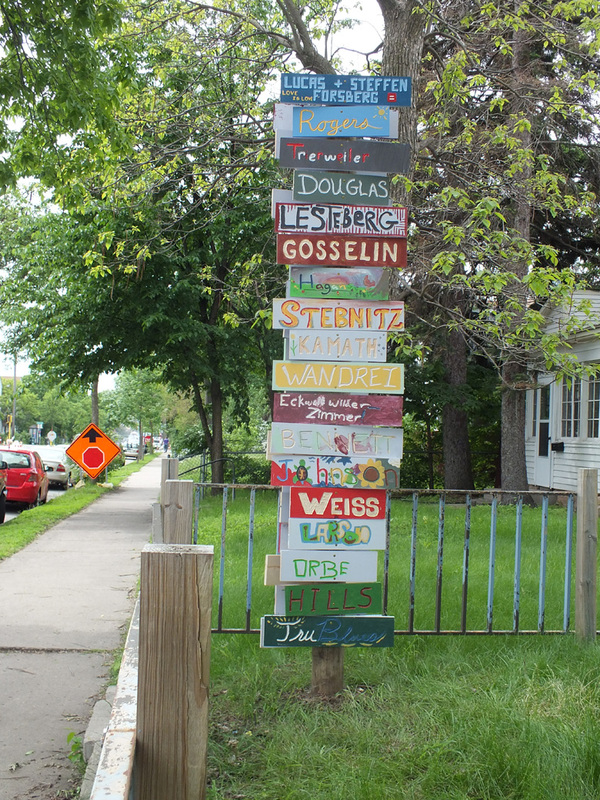 At the beginning of roads leading to a lake with cabins, there can often be found a collection of wooden/engraved/painted/handmade signs bearing the names of residents i.e. The Thompson’s in the case of my grandparents. 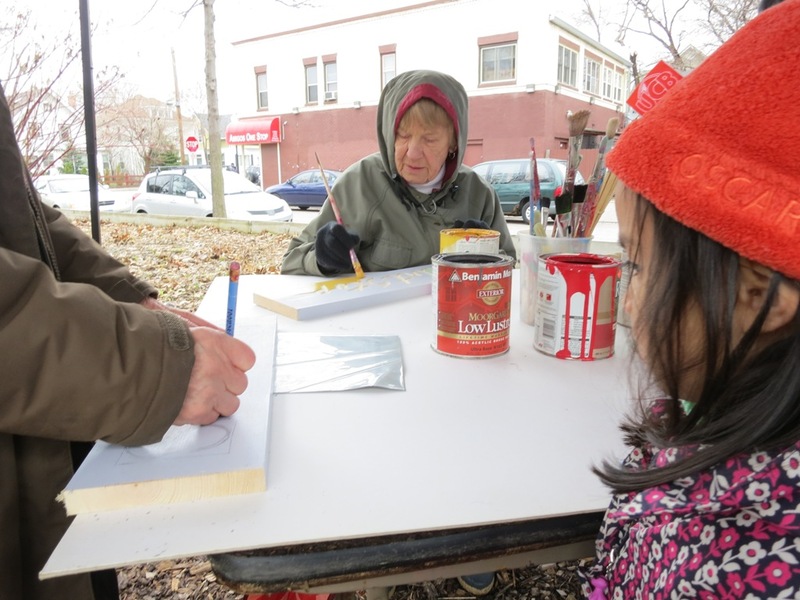 During May and June MSS will host four sign making workshops based at different locations within the neighborhoods that share the Chicago Ave Corridor. Residents will be asked to create a sign with their name, last name or first name or names for entire extended families. 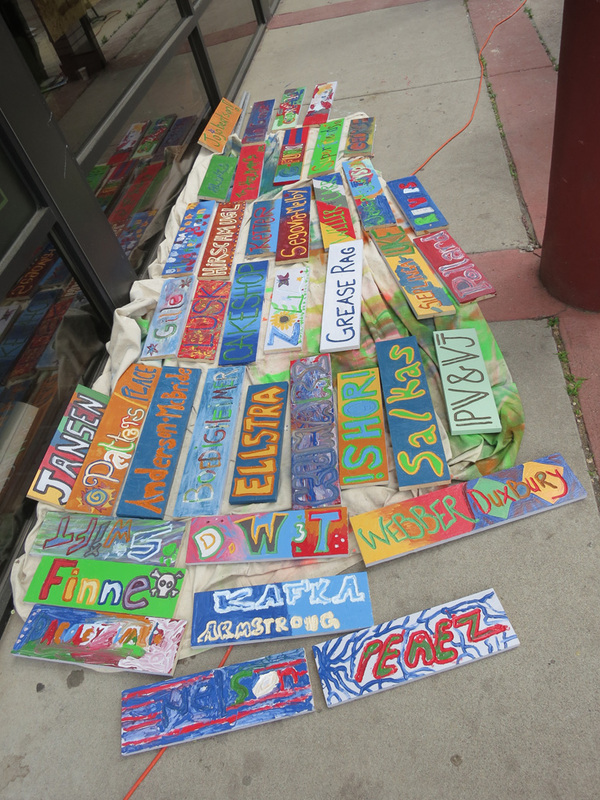 Much like the cabin name signs, personalization is encouraged and facilitated. 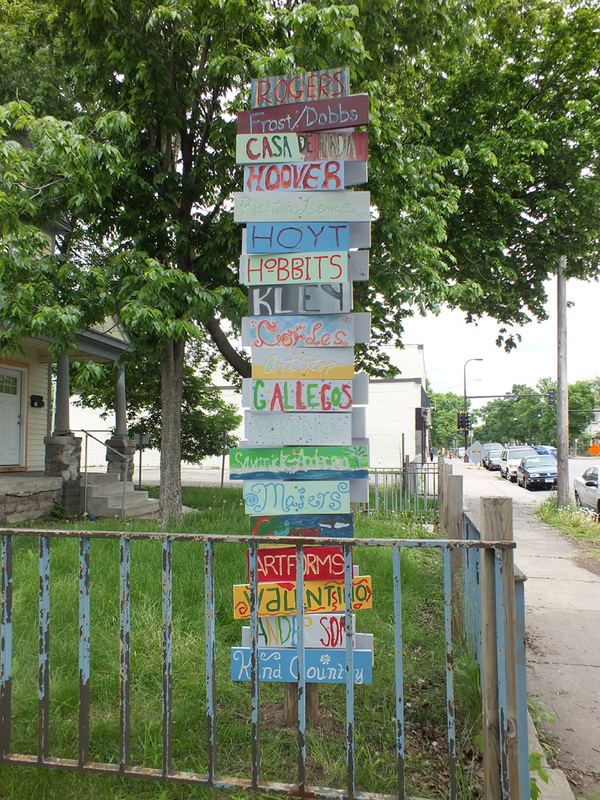 The finished signs will be installed on poles (existing or temporary) at three Chicago Ave intersections throughout the neighborhood, tentatively at 32nd, 38th and 42nd. 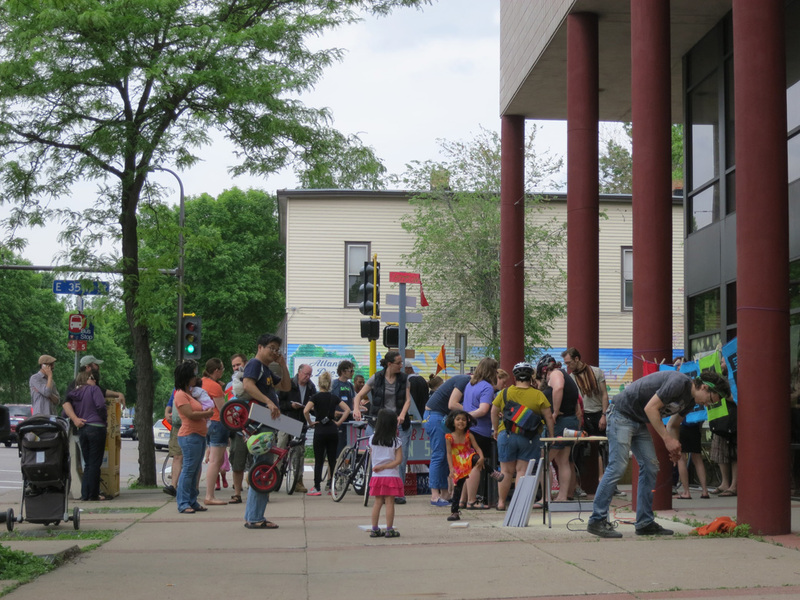 The months leading up to sign workshops will be spent with connecting with neighbors, arranging locations for workshops and sign installation. 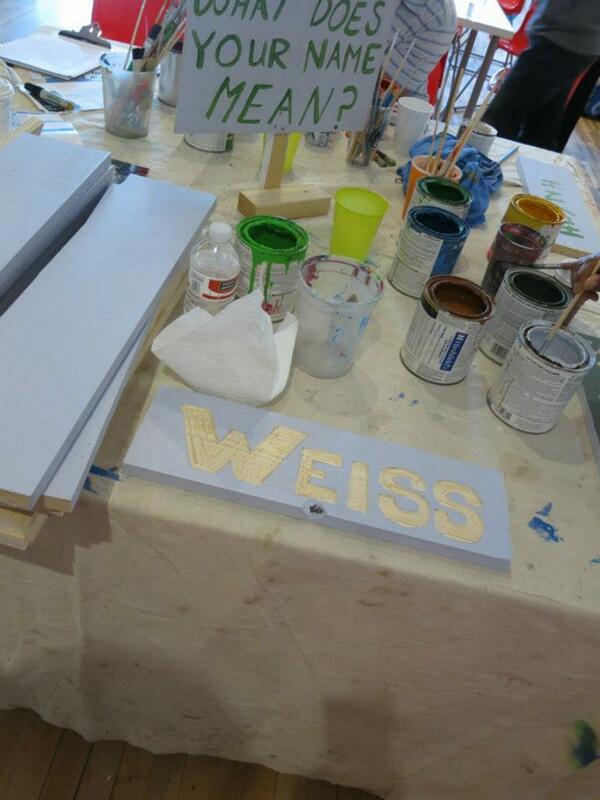 Another key part of the MSS is the actual sign shop, used last summer for a similar project in Phillips West. Housed in a trailer that can easily travel to different parts of the neighborhood and provides an attention getting location stocked with sign making supplies and information. This trailer is not a standard utility trailer, but recognizable as a location for activity, painted brightly, with flags and a pop-up shade/weather awning. 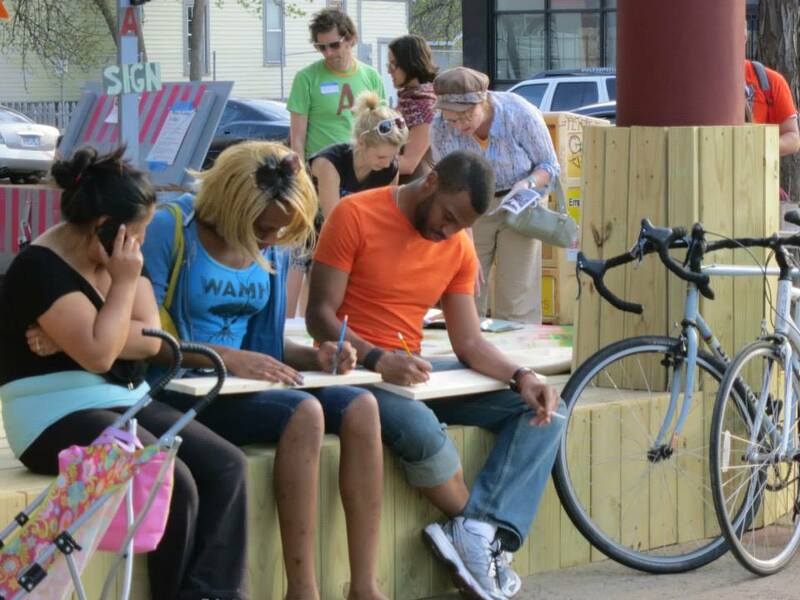 Inserting a non-standard, incongruous tool into public space, brings out people’s curiosity and willingness to engage, leading to more potential participants. 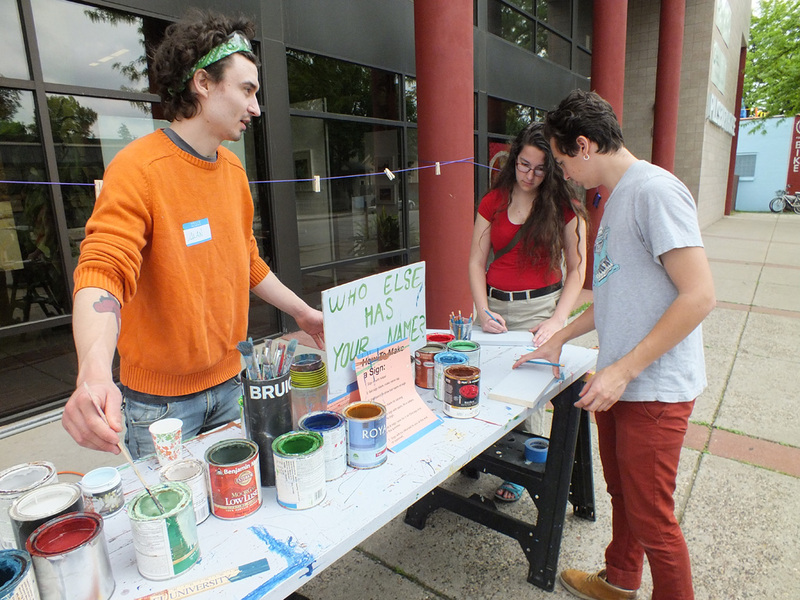 These workshops will provide materials, tools, etc. as well as assistance in sign-making and lettering. 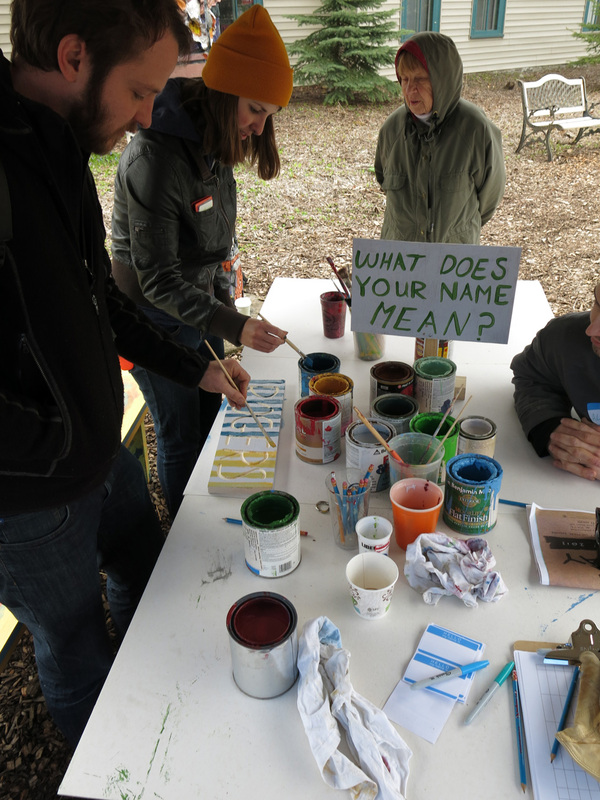 More than materials they will provide a location for people to converse about something we all have stories about, our names and families. At the conclusion of the summer the signs will be de-installed and distributed to their makers. 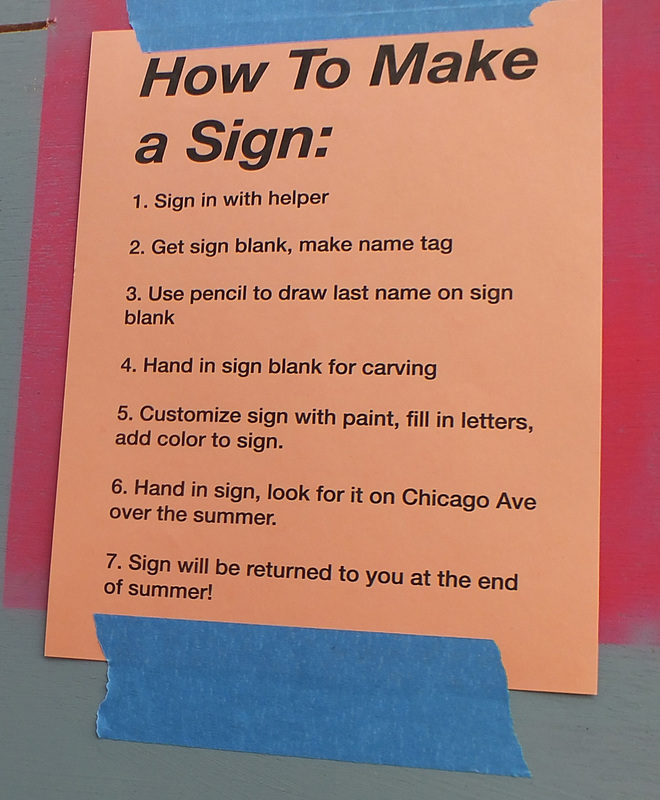 How to Make a Sign. Beautiful names on beautiful signs!